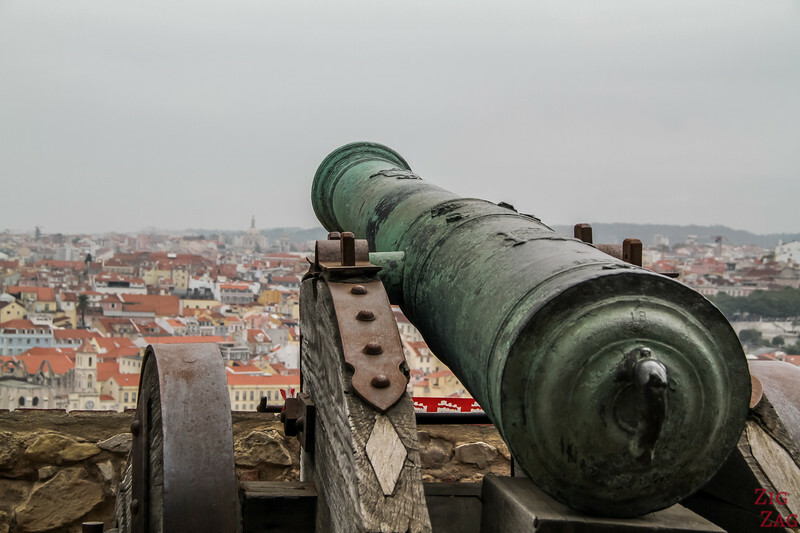 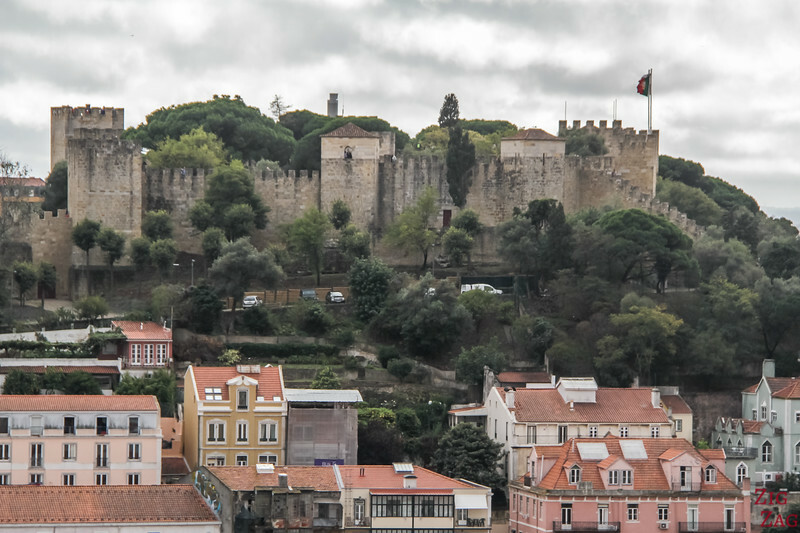 Perched on top of a hill in the heart of the city the Lisbon Castle offers some of the best views around. 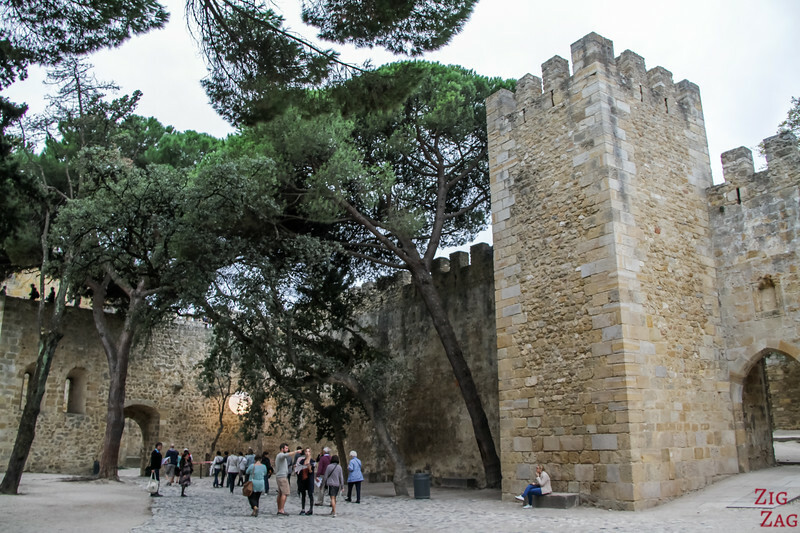 Escape the city streets to explore the walls and relax while admiring the river. 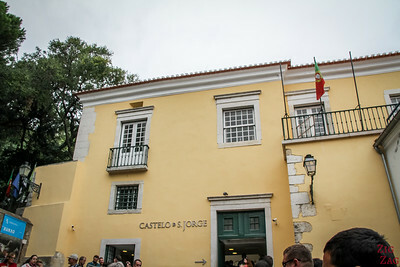 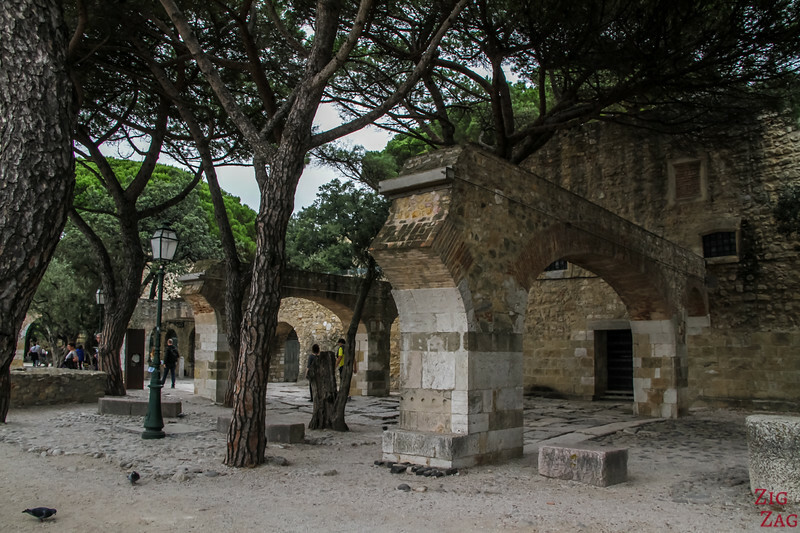 Below are a video, photos and info to plan your visit to the Castle of Sa Jorge Lisbon Portugal. 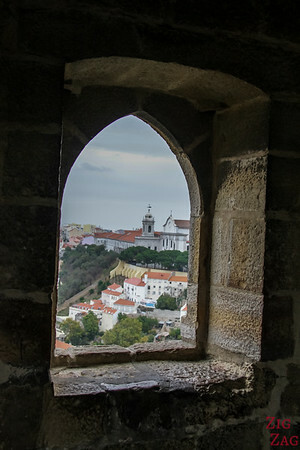 This viewpoint is quite high so you are almost at the same level as the castle. 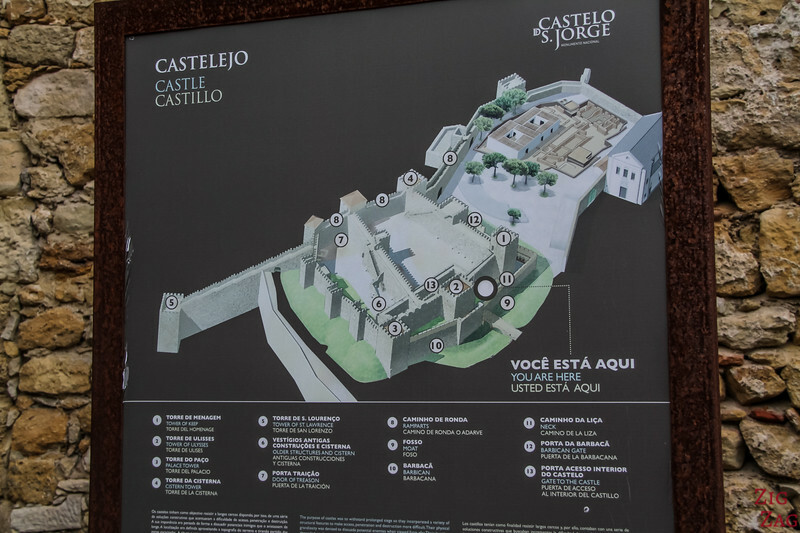 This photo was zoomed a little but it remains the closest viewpoint to admire the fort. 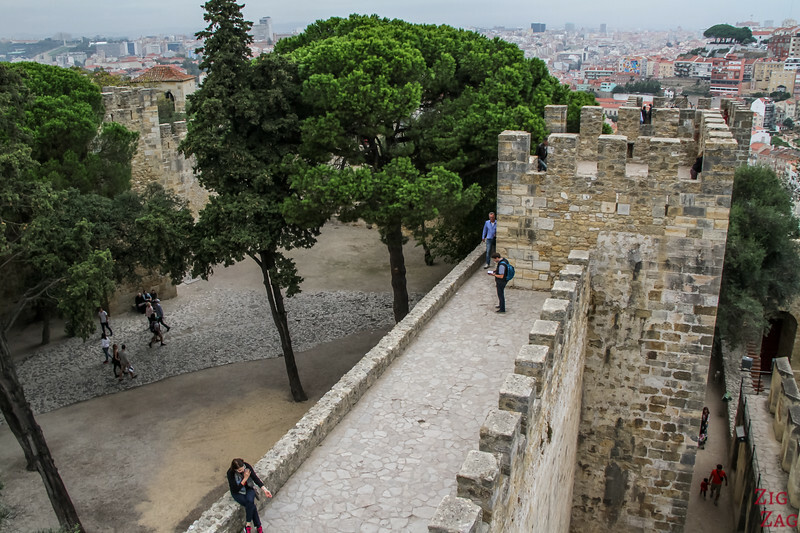 From the city center, you can ride the old elevator called Santa Justa Lift and gain access to its viewing platform. 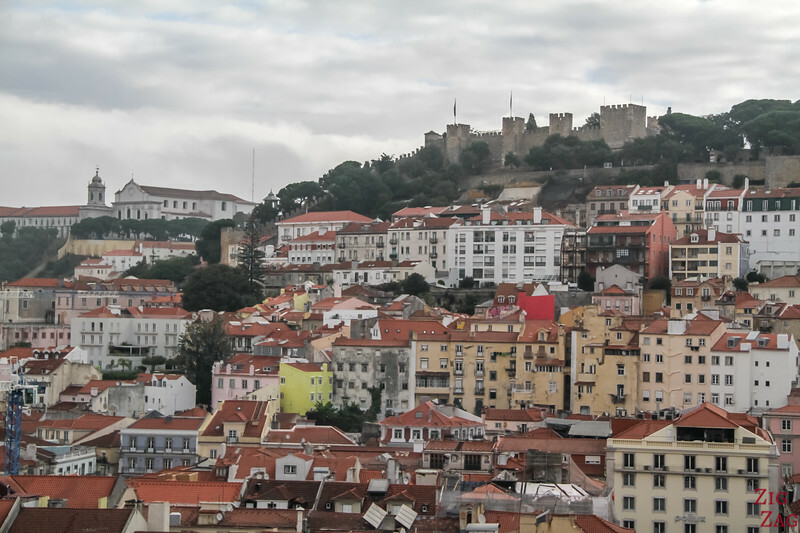 This location is better to see the rooftops of the city but you still have a decent view of the Castle of Sa Jorge Lisbon Portugal. 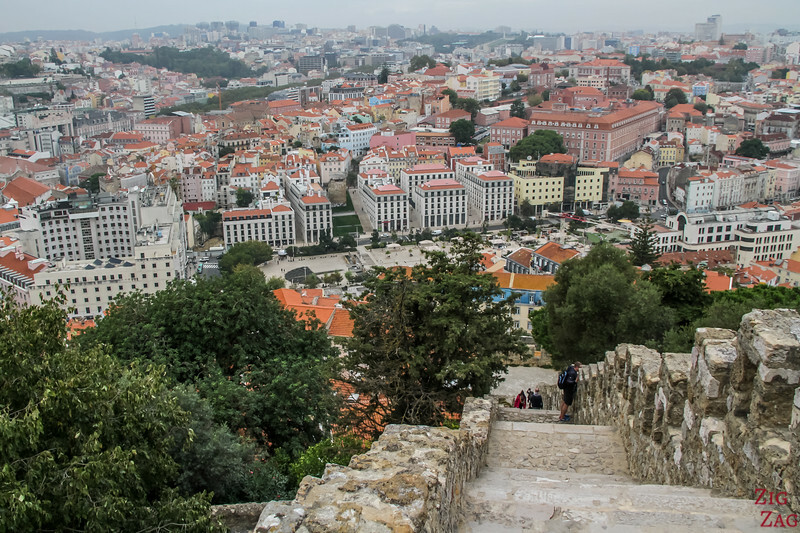 One of the most famous viewpoint in Lisbon is Sao Pedro de Alcantara. 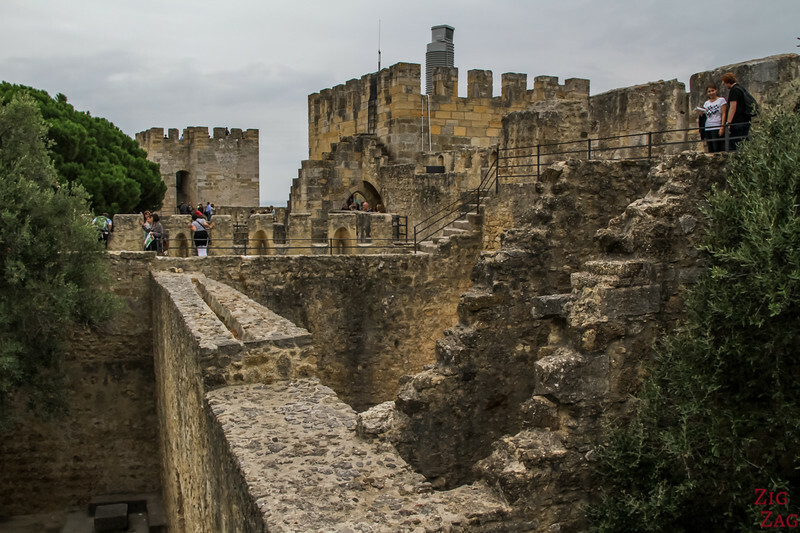 I don't think it is the best one bu from there you have a side view of the castle and a good visibility on the giant staircase (that we will see from the top later in this article). 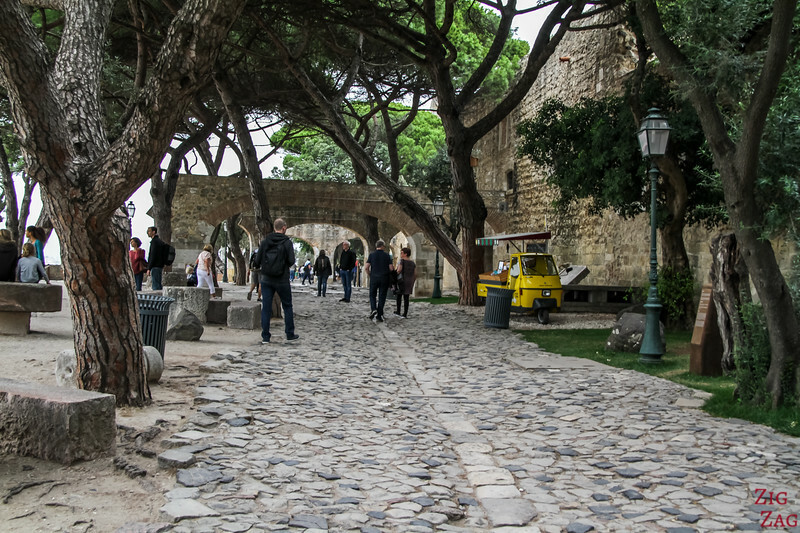 As you enter through the gate, you first discover the main square and what remains of the Royal Palace (spoiler alert: not much!). 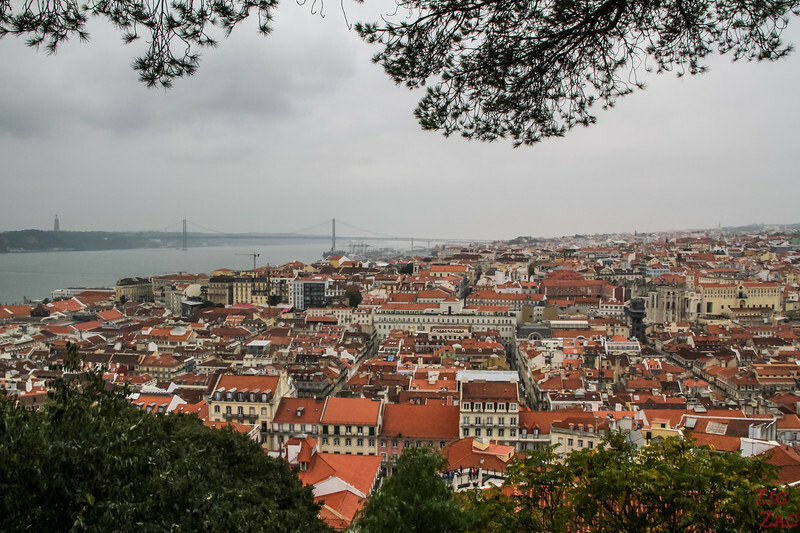 And you will quickly be attracted by the large esplanade with amazing views of Lisbon, the river and the bridge. 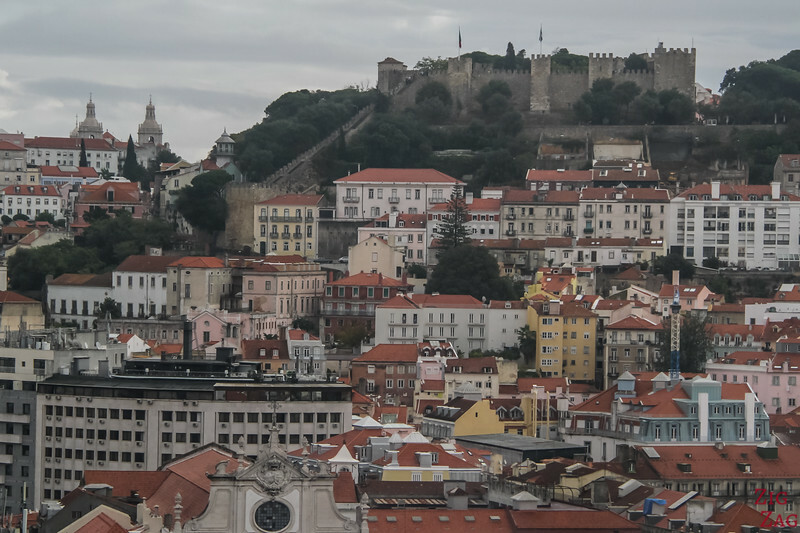 The Lisbon Castle definitively offers some of the best views of the city and there is so much space that everyone can enjoy it. 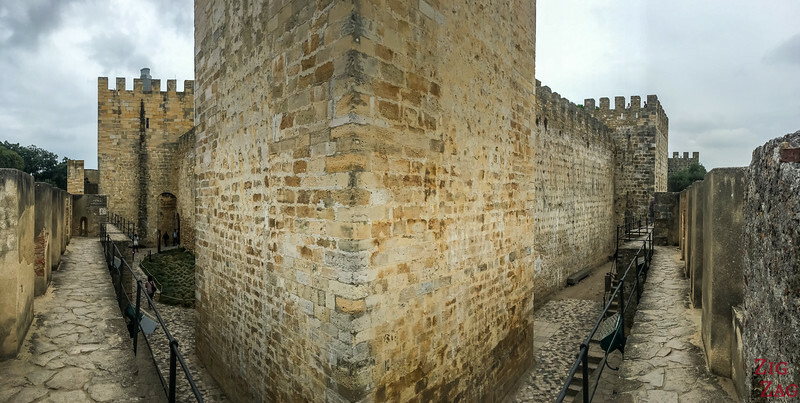 No displays of any kind, but many staircase everywhere to go and explore the different walls. 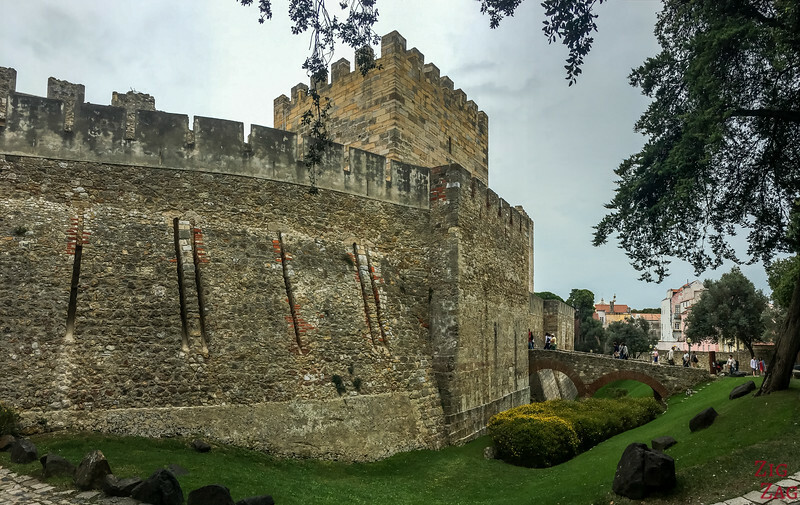 The best part (except the esplanade views) of the Lisbon Castle of Sao Jorge is the exploration of the walls and towers. 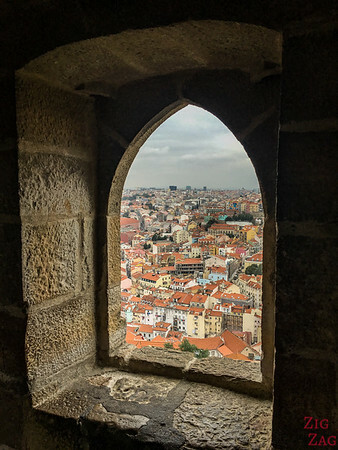 You get even more views of the city, including on the other side you don't see from the esplanade. 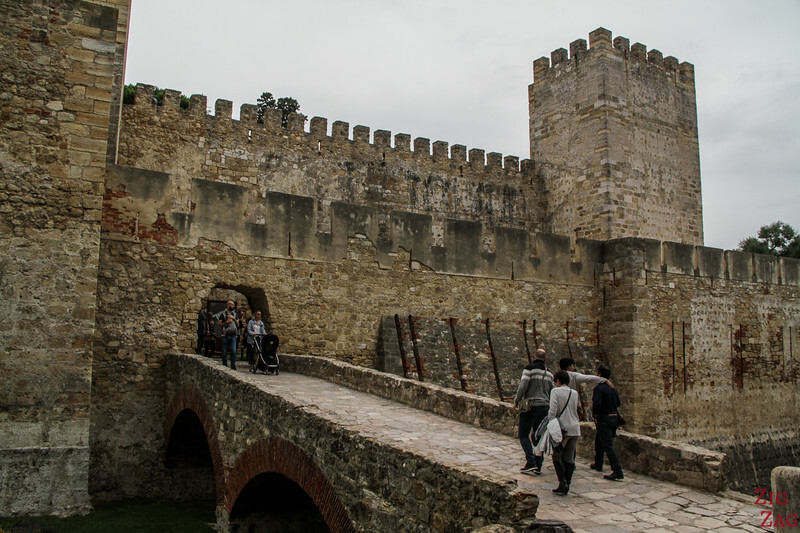 Below you can see the staircase I talked about in the first section. 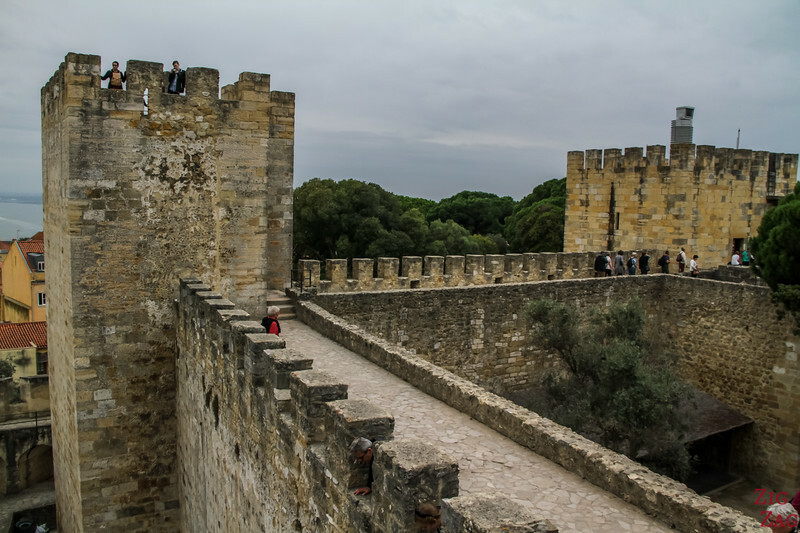 If you have vertigo it is quite impressive as it is very steep. 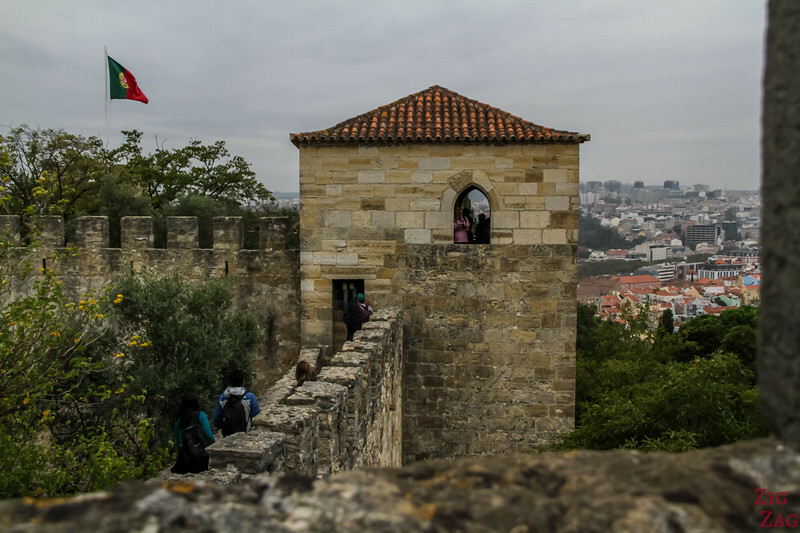 In the corners you can enter the the small roofed areas and get more views of the city.